AMPS has always had a group of members that are passionate about improving farming practises to improve efficiencies and farmer returns. All AMPS Research members firmly believe research is a vital part of improving farming practises. Our research members love the fact that the money they spend with us gets reinvested into something that is so beneficial to them. Across our multiple locations we have individual research committees made up of the local research members. We believe the grower should decide where research money should be spent. The Brownhill family have been farming on the Liverpool Plains for over 50 years. Gordon has always been a farmer, and his passion for the community and district has never been questioned. The same can be said in finding new ways to enhance agriculture into the future. Gordon has been chairman of AMPS Research for some 10 years. His enthusiasm for research into agriculture has seen it spread its message to areas wider than just the plains. 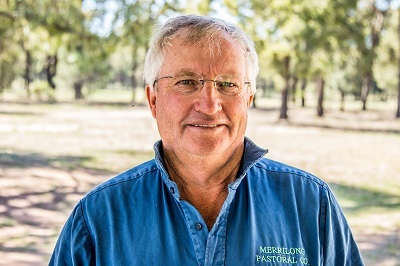 Gordon is currently Vice President of the Spring Ridge Country club, Chairman of the Greens Committee of the Quirindi Golf club and has been on many charitable committees within the Quirindi district.